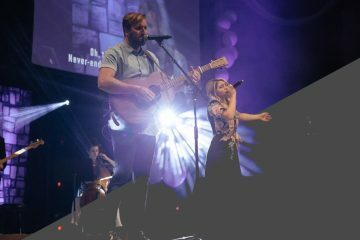 Husband and wife Austin and Lindsey Adamec may seem like new names when it comes to the Christian music scene, but they are certainly no amateurs. Austin, a singer/songwriter and worship leader, along with his wife, former 1 Girl Nation member Lindsey, have come together to create their debut self-titled worship EP Austin & Lindsey Adamec. The first track “Walk On Waves” comes from a very difficult time for Austin and Lindsey when they were struggling with being apart for work, and dealing with financial struggles. They were reminded of the story of Peter walking on the waves, and how when we as Christians are struggling, we need to cling to Jesus even during the tough times. The harmony between Austin and Lindsey throughout the chorus really gives the song a sense of power that solidifies the message. The desire for the song “It Is Finished” is to be a song of praise, and an anthem for the church. It is a reminder to people that we don’t need to earn God’s love, and that when Jesus said “It Is Finished” on the cross, our sins were forgiven. The simple instrumentals throughout the song really gives listeners a chance to reflect on the lyrics and the message the song is sharing. 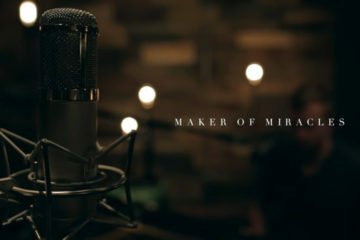 “Maker of Miracles” is such an encouraging song for listeners. The song is praising God for being a God of miracles, and giving us things we never thought were possible. The steady crescendo of the vocals and instruments leading up to the chorus really add to the energy and passion that can be felt throughout the song. 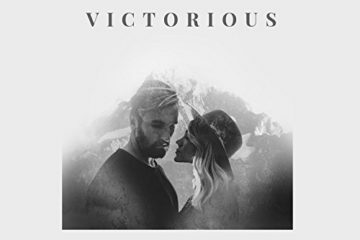 Austin and Lindsey describe Lost In You” as a love song to the Lord. They see this song as a form of giving God’s love back to him. The simple guitar in the background really gives a chance for Austin and Lindsey’s incredibly talented vocals to showcase the song and the message of love they are sharing. “Infinite Grace” was the first song written for the album, and one that is very meaningful for Austin. The song talks about God’s grace, and is a great reminder for listeners of the sacrifice God made for us by sending his son Jesus to die on the cross for us. Another calm and reflective song, really giving space for the lyrics to speak volumes and share an incredibly deep, and meaningful message. Overall this worship EP is an incredible breath of fresh air for worship music. The incredibly rich, and pure vocals blend together in a way that is unique and hard to find these days. The honest and meaningful lyrics are simply beautiful songs of praise. It is so special to see the love between Austin and Lindsey throughout the music, as well as their common love and passion for praising God.